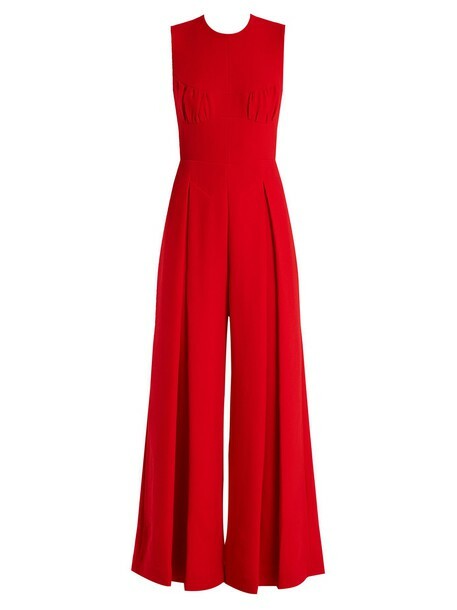 Emilia Wickstead's Ethel jumpsuit comes in an alluring rose-red hue. It's crafted from wool-crepe and shaped with a round neck contouring ruched bust and the open back is fastened with wide draped ties above the fluid legs that are tailored with inverted box pleats. Complete the look with pin-thin stilettos and keep accessories simple for modern evening glamour.